Chapter crafts: Heart happiness Valentine's card. 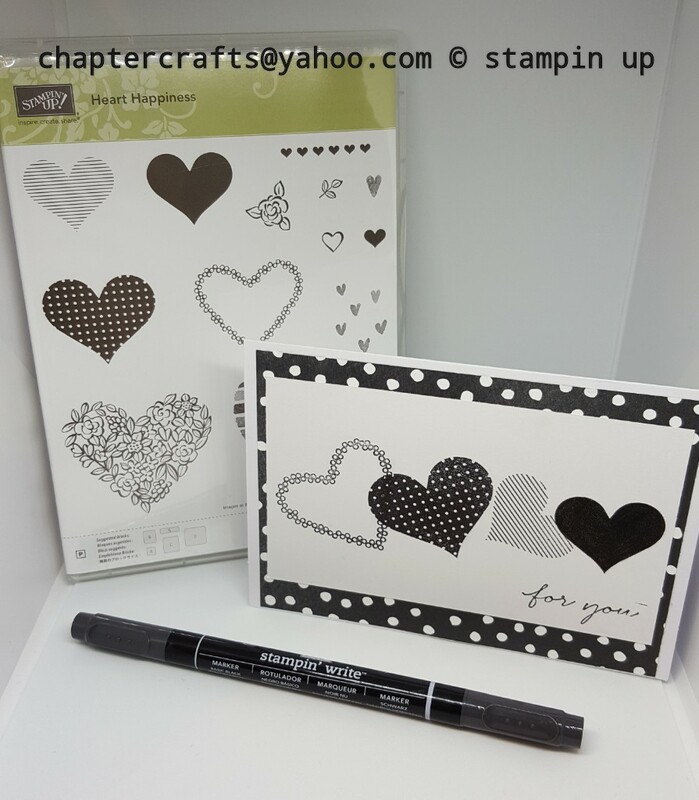 Heart happiness card Stampin up! Hello and welcome back to Chapter Crafts. Today I have made a very simple valentine's card using the stamp set heart happiness from stampin up! Petal passion designer series paper 5 1\2" x 4"
Coloured ink used is basic black ink and wink of Stella. Labels: Heart happiness valentine's card.